When people discover their true passions in life, they will be taken on quite a journey. Odysseys will bring one both good and bad experiences. For those that wish to be a performer in either the online or offline realm or in both of them, there is a place where one can go have some of the bumps in their path removed. 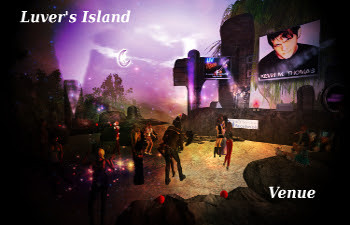 Luver's Island, ran by Jolly Leborski and DeusRulez Shamrock, opened in October 2012 and is mecca for all musicians and those that love music in general. This sim, is generally divided into three sections, giving its artists and patrons, several unique locations to play and mingle in.